No fewer than three persons have been injured in the ongoing congressional meeting of members of the All Progressives Congress (APC) in Rivers State. It was learnt that the congressional meeting got bloody as members of the party and police clash. It was gathered that the clash occurred over an alleged shoddy arrangement by a power-block in the party. 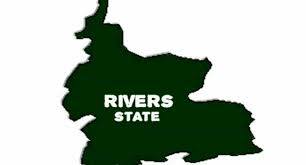 Earlier, the Rivers State Government has expressed deep concern over the use of illegal firearms by operatives of the special anti-robbery squad, SARS ahead of the state congress of the All Progressives Congress, APC. Expressing the worry, the state Governor, Nyesom Wike said that the illegal use of operatives of SARS and military personnel to cause rancour ahead of the APC Congress in the state has vindicated him. Governor Wike stated that the series of statements released by APC stakeholders on the illegal activities of SARs Personnel in the course of their forthcoming congress should draw the attention of all well-meaning lovers of democracy. “In an ordinary party congress, over a platoon of soldiers and more than 200 SARs Personnel have been handed over to one man. If these operatives protect just one man , while other communities are left without protection, what do we think will happen? “Even the notorious election rigger, SARS Commander Akin Fakorede is operating without a check because he has the support of the Police High Command,” he said. The Governor said that conflicts during elections were generated by overzealous security agents, detailed to manipulate the process.